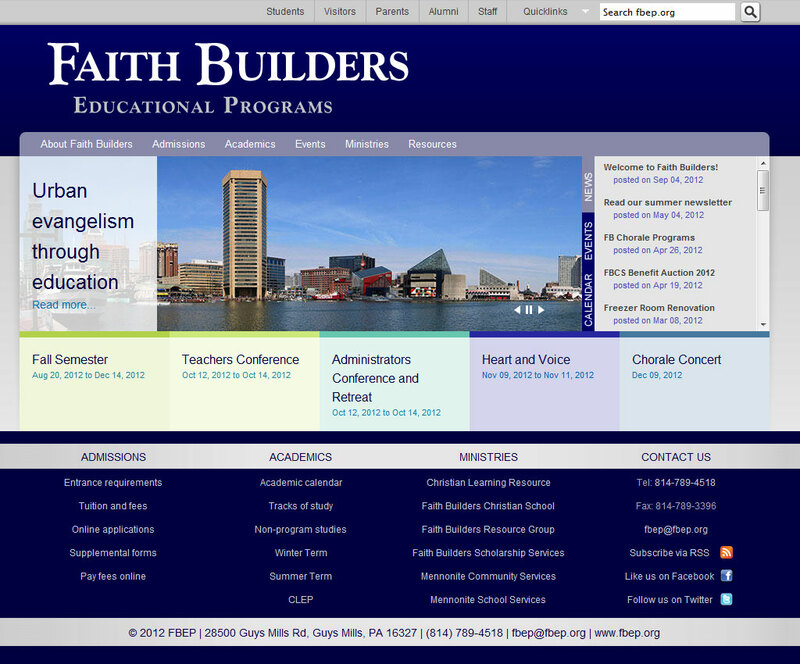 The site for Faith Builders Educational Programs was in sore need of a refresh. The previous site was large and well-developed. Although it had served Faith Builders well, it was a mix of static HTML and CSS, PHP scripts and a WordPress blog, not the easiest to maintain or tweak with fresh content. Working with a team of advisers at Faith Builders, I completed this website as a final project as an FB employee. The site is built on Drupal CMS and integrates payment of fees, dynamic date-driven views, Google calendar feeds, and Google forms for event and term registrations. Faith Builders intends to maintain the site with in-house personnel.